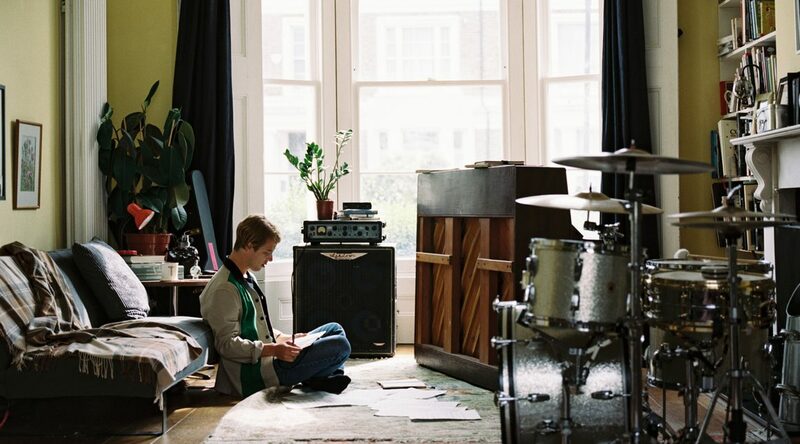 TOM ODELL is gearing up to release his third album ‘Jubilee Road’ – after rising to prominence just six years ago with the hit single ‘Another Love’. It was at the age of thirteen that he began to secretly write songs – telling nobody because he felt it was “uncool” – unaware that in a decades time, he would top the charts with his work and be named ‘songwriter of the year’ at the 2014 Ivor Novello Awards ceremony. Tom intended to attend the University of York having been offered a place to study chemistry. But his is passion for songwriting broke through, as he attempted to gain a place at a music college in Liverpool – ultimately attending the Brighton Institute of Modern Music. At the Institute, he played as part of the band Tom and the Tides. A short time later, Tom caught the attention of singer Lily Allen – who had just set up her own label under Columbia Records called ‘In The Name Of’ – which he was quickly signed to. It wasn’t long before Tom got shortlisted for the prestigious BBC Sound Of 2013 award – as his song ‘Another Love’ gained traction, appearing in adverts and fashion runway shows. He later released his chart-topping debut album ‘Long Way Down’. The songs from Tom’s second album – ‘The Wrong Crowd’ (which was released in 2016) – follow a narrative of a man ‘held at ransom by his childhood’. Each song tells a story that’s elaborated and exaggerated – with a heightened sense of reality. But across all of his work so far, it’s clear to see that Tom is as much a songwriter as he is a storyteller. Odell holds a commanding presence on stage – whether he’s perched behind a piano or standing in front of a microphone, his vocals lead the charge. Off the back of the success of the last album ‘Wrong Crowd’, Tom went on a lengthy sell-out tour of Europe and America (‘No Bad Days’) which ended up merging with some on-the-road writing of his upcoming album ‘Jubilee Road’. Talk to us about ‘Jubilee Road’, what’s the story behind the name? The album is inspired by a road I lived on in London for a little while. For me the name represents the neighbours and friends I made whilst living there. It was wonderful community of people who’s lives inspired me greatly. I would sit at my piano in the living room of the house, and hear the old man next door’s television coming through the walls, and see the family opposite sitting down for dinner each night. At midnight the pub at the end of road would call last orders and I could hear the drunken conversations as people walked home. It was home. And I listening back to the album now, it takes me right back there. You described the lyrics from your last album as having a ‘heightened sense of reality’. The lyrics from your recent single feel slightly more grounded. What do you think? I think there is an element truth to that yes! I knew that after living out of a suitcase for five years, touring the world, I needed to stay put for a while, throw my passport in the draw and get to know what day the bin men come. And I think this album is very much about finding home. And in a lot ways about accepting who I am. Does ‘Jubilee Road’ follow a fictional narrative like the last album? When I write songs, to a certain degree it is irrelevant to me what is real and what is fictional. The closest thing I can describe it to is dreaming. Often dreams are located in places that feel familiar, with people that are real, but the narrative is boundless, and sometimes real memories are interweaved with things that you heard about or perhaps never happened at all. I think my approach to songwriting is similar quite similar! Why did you decide to opt for a fictional narrative in your songwriting? With the last album, Wrong Crowd, there was a degree of fiction to it, but looking back actually, it was closer to home than I realised. In many ways, I was living out that very life I was talking about in the songs. I was yearning to find a home, to belong somewhere but I was stuck in this world of transience, of hotels and airports. I guess I had to make Wrong Crowd to make this third album Jubilee Road. Three years have past since your last album. Having spent much of that time on tour, were you writing a lot on the road? Two years have passed actually! And yes, I’m always writing, every day! I find the road an inspiring place to write as its so extreme. But having written the second album almost entirely on the road, I yearned to write this album all on the same piano, and that I did. Which artists do you think inspired this upcoming album the most? I’m really not sure. I think I’m proud of this album the most because of its richness. Some people may like it, some may hate it, but what I don’t think anyone can say is that its not full to the brim of music and lyrics. I found new ways of writing, using imagery, and other people’s lives to dig a little deeper into how I felt about things. I think that was quite inspired by listening a lot to artists like Elvis Costello and Carley Simon, but also by reading. I read a hell a lot of books when I was living in Jubilee Road, authors like John Updike and Sinclair Lewis and Kazuo Ishiguro, and Arundhati Joy. Words inspire me just as much as music does. Earlier in your career, you spoke about having writer’s block, has that returned in recent years? Touch wood, I haven’t! I mean, I think like most songwriters there are certainly days of intense frustration, where nothing seems to sound right, but overall I’ve been lucky to able to keep feeling the need to write. How do you get past the writer’s block? I think the thing I’ve learnt over the years is that a huge part of the songwriting job is staying inspired. I have to keep the fire burning, look after that mystical muse. And so I continually surround myself in music, in books and art. People too! Conversations had with friends have countlessly inspired the idea for a song. But also adventure! Saying yes to things is a good place to start. Travelling somewhere I’ve never been before. I’m not sure, but I think if I continue to do all of this, the dreaded writers block will keep its wretched hands from my piano. How important is social media to you right now? I think its a wonderful tool to be able to speak to my fans directly, in a way that for many years artists could never do with traditional media. It’s quite wonderful when I recommend a book on my Instagram and people come back with their suggestions on what I should read next. I’ve found a couple of great books that way. I think it is also very addictive, and like anything, quite destructive when used too much, so I try to be careful about how much I use it. I did see on your Instagram that you’ve been reading a lot of books – have you got a favourite of late? I just started reading ‘Witches of Eastwick’ by John Updike and I’m thoroughly enjoying it! Everyone seems to have an app idea at the moment, what’s yours? I’d like to start an app which encourages young people to play the piano! Its such a brilliant instrument but also because I think its important music is a part of children’s lives. One of the things that gets me most frustrated about the government we have at the moment is the arts cuts in schools that have taken place over the past few years. I believe that arts and music are as important to education as maths or history. So anyway, anything to encourage more music I think would be wonderful. Is fashion something that’s important to you? When I’m not working, I pretty much wear the same pair of jeans and trainers every day. I really don’t care how I look. But on stage, I think the clothes the band and I wear are as part of the show as the lights and stage set up. I usually wear pretty simple suits, but they give me a little more confidence when I’m jumping up on the piano then my worn out jeans and muddy trainers. Also, for a few moments in the day, I feel like I have a real job.